Goalkeeper: The United boss has confirmed that Sergio Romero will get a run-out between the sticks with David De Gea handed a well-earned rest. Defence: Mourinho is expected to rotate following a hectic festive period so we could see the likes of Phil Jones and Marcos Rojo given a rest with Chris Smalling and Victor Lindelof starting at the back. Ashley Young is suspended after being slapped with a three-game ban for an elbow against Southampton while Antonio Valencia isn’t due to resume training until next week following a hamstring injury. 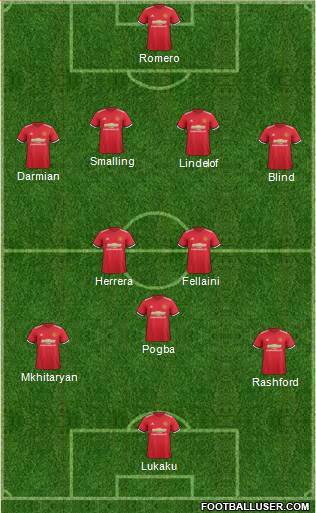 Therefore, we could see Matteo Darmian start at right-back while Daley Blind could be handed a rare start at left-back with Luke Shaw dropping out having started the last three games. 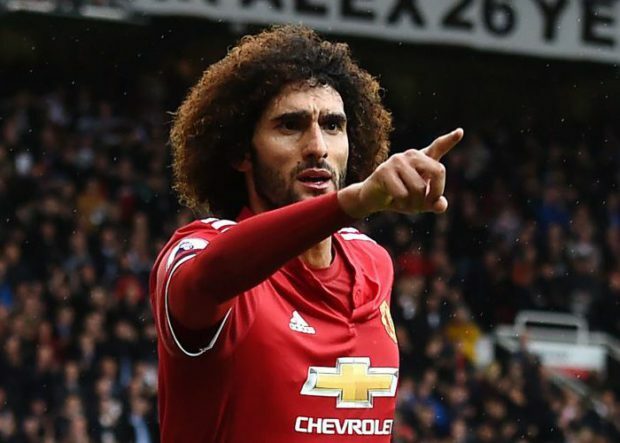 Midfield: United have been handed a boost as Marouane Fellaini is back in contention after recovering from a knee injury and the Belgian international could start if Mourinho feels he’s ready. That would allow Nemanja Matic a rest while Ander Herrera could keep his place in midfield as he should be fresh having not featured too prominently recently. Paul Pogba played in a more advanced position during the impressive win at Everton and I think we’ll see the French international continue in that role tomorrow. Attack: Romelu Lukaku is back in contention after being left out of the trip to Everton as a precaution following a clash of heads against Southampton. Mourinho insists the striker didn’t suffer concussion so Lukaku could return to the starting eleven tomorrow night. Anthony Martial is the man most likely to make way despite scoring a fine goal at Goodison Park while Jesse Lingard could also be rested after scoring a stunner against Everton. Marcus Rashford is in line to get a recall to the attack with Juan Mata making way while we could also see Henrikh Mkhitaryan given a run-out after falling out-of-favour recently.